Oaxaca de Juárez has long been a city celebrated by cultural travelers: revered for its complex cuisine and its contributions to folk and modern art. 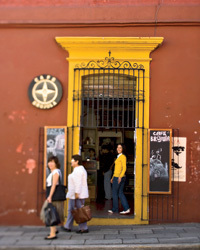 Here, some of this Mexican city’s great restaurants and cafés. An eight-room inn filled with local art. A hip coffeehouse that has a gallery and is frequented by mixed-media artists. Chef Alejandro Ruíz Olmedo ingeniously updates regional dishes like mole. 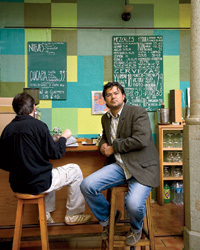 Chef Fernando López Velarde creates Mexican dishes with esoteric ingredients. Olguín’s lab-like tasting room pours artisanal mezcals.